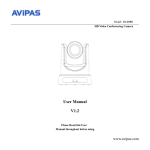 This manual describes how to use the WebView Livescope Ver. 3.6 Viewer Software. differ depending on the computer hardware and software used to run the viewer. possible use of this product. Store this manual in a safe place after you finish reading it. The latest information on the viewer is available at the following URL. any part of the contents of this manual is forbidden. 2 The contents of this manual are subject to change without notice. 3 Every effort has been made to ensure that content of this manual is free from errors. holders, if any, except in such a way as permitted for personal use under relevant copyright law. 1. Audio stream may be interrupted according to the performance of your PC and network environment. 2. If you use a proxy server, the audio may be interrupted. Canon and Canon logo are registered trademarks of Canon Inc.
* In this document, “Microsoft Windows” is abbreviated as simply “Windows”. Indicates additional information or explanations for a procedure. You should read these items. the video and remotely control the camera. live video from a Web site and monitoring. from Web pages by allowing users to change camera angle and zoom magnification. to provide live information contents. viewed on any computer with a Web browser that runs Java, regardless of the platform. web site for more details. ● Panorama pictures must be registered in advance at the camera server. * Panorama pictures are not available with the VB-C50FSi/VB-C50Fi. only a Windows version of this viewer is available. from the following web site. * Audio input/output is not available with the VB-C50Fi. slower than the Viewer for PC that is pre-installed on a PC. for PC if you view video frequently. Sun Microsystems Website to download the Java VM provided by Sun Microsystems. and explains how to use the viewer. settings, you must change your Web browser settings. Internet Explorer has a setting that specifies whether the use of Java is permitted. compiler for virtual machine enabled” as the “Microsoft VM” setting. Detailed settings below similar to the ones are displayed after settings. Netscape also has a setting that specifies whether the use of Java is permitted. to the settings given here and check your browser version. frame rate and proxy server overload. registration is not required for the camera server. a proxy server for your LAN” below. 1 From the “Tools” menu, select “Internet Options” and click the “Connections” tab. 2 Click “LAN settings” to open the Local Area Network (LAN) Settings dialog box. 3 Tick “Automatically detect settings” in “Automatic configuration”. Options dialog box. Proxy data is automatically detected when you specify this setting. (e.g. http://192.168.100.10/proxy.pac) of the Settings file. 3 Tick “Use a proxy server for your LAN” in “Proxy server” and click “Advanced”. service port”. If there are multiple settings, use a semicolon (;) as the separator (e.g. dialog box and the Internet Options dialog box. Specify either “Manual proxy configuration” or “Automatic proxy configuration URL” below. 1 From the “Edit” menu, select “Preferences”. 2 Select “Proxies” in “Advanced” and select “Automatic proxy configuration URL”. 3 In the “Automatic proxy configuration URL” field, enter the URL (e.g. http://192.168.100. 10/proxy.pac) of the Settings file. 4 Click “OK” to close the Preferences dialog box. 2 Select “Proxies” in “Advanced” and select “Manual proxy configuration”. starts up and connects to the camera server. angle, zoom ratio and backlight adjustment settings. The functions of the GUI displayed on the Web browser are briefly described below. the frame rate, while making it smoother improves the video quality. * Depending on the camera server, the video source size change buttons are not displayed. Used to change the camera tilt angle (up and down movement). * Not displayed on the VB-C50FSi/VB-C50Fi. Used to change the zoom ratio. Moving the button up zooms in (telephoto) and moving it down zooms out (wideangle). camera server. Panorama pictures will not be displayed if not saved. controllable”, “Awaiting turn”, “Remaining camera control time”). Used to acquire camera control privileges. backlighting. Click the button again to cancel. beforehand on the camera server. Used to change the camera pan angle (left and right movement). snapshot image can then be printed or saved. * Not available with the VB-C50FSi/VB-C50Fi. frame on the panorama window. The blue frame indicates the area currently being photographed by the camera. zoom by resizing this frame. view restrictions have been specified on the camera server. Click the [Start Control] button to acquire control privileges. Shows the camera control status. The display changes depending on the camera control status. camera server is being contacted. status display panel turns red. camera angle, the zoom ratio and the backlight adjustment setting. Move the button on the Pan Scroll Bar or Tilt Scroll Bar. the position of the scroll bar buttons. This scroll bar changes the camera’s tilt (up or down). This scroll bar changes the camera’s pan (left or right). you clicked moves to the center. the camera pans and tilts to shoot the area in the frame. Move the Zoom Scroll Bar button up or down. The camera zooms in or out to match the position of the zoom bar button. frame size, the zoom ratio changes accordingly. camera from the list of names, the display changes to show the video from that camera. preset position from the list, the display changes to show the video from that position. camera server, no selection options are shown. Backlight adjustment is useful when the video is dark due to backlighting. Click the button again to cancel. This function allows you to take a snapshot (still picture) of a particular live video. When you take a snapshot, it appears in a new browser window. prior permission from the copyright holder. displayed Information Bar to disable the pop-up blocker. 1 Take a snapshot of the video you want to print or save. There are two types of Viewer for Java (→ p.6). The following is a description of “Glimpse”. no camera control functions and only displays video images. This viewer is useful for viewing videos from multiple sites, as shown below. The Viewer for PC must be pre-installed on your PC. ● Microsoft Internet Explorer 6.0 must be installed to run the Viewer for PC. Check that it is already installed before installing the Viewer for PC (→ p.8). 1 Download the install file from the web site. completion screen appears, click [Quit]. A short-cut icon is created on the desktop. for distributing videos, or starting it up independently. Normally it is started up from the Web browser. enclosed with the camera server package. Livescope | Viewer for PC. for PC is started up independently. was started up independently, you need to specify the camera server or select a registered camera server. camera server, or start up multiple Viewer for PCs and connect each one to a different camera server. Choose Connect from the File menu. connection to the camera server. select WebView-HTTP (→ pp.44, 45). camera server. They can normally be used with the default settings. ticked, in the “Nickname” field enter the name with which you want to register. Connected Site button (→ p.39)”. The functions of the GUI displayed when the Viewer for PC starts up are briefly described below. Displays the video at full-screen size. Press the [Esc] key to return to the original video size. Pauses video during play, or starts play if currently stopped. Lets you register a camera site during connection. Lets you set audio functions. * Only displayed if the camera is connected to a camera server that supports the Audio function. Lets you connect to a registered camera site by selecting it here. Can be used to select the camera when multiple cameras are connected to the camera server. when you do not hold camera control privileges. control the camera zoom by dragging the edge of the frame to change its size. currently holds the control privileges. until control privileges are granted. control requests from other clients. The camera angle changes to match the position of the scroll bar buttons. becomes the center of the video. Move the button up to zoom in (telephoto). Move the button down to zoom out (wideangle). size, the zoom ratio changes accordingly. When multiple cameras are connected to the camera server, you can switch between cameras. the list of names, the display changes to show the video from that camera. position from the list, the display changes to show the video from that position. no selection options are shown. * The effects of the Video Source Size Change Button may not be reflected in all camera servers or settings. Makes the video source one level coarser (faster frame rate). Makes the video source one level smoother (better video quality). the mouse and select “Resume Paused Picture”. restart the paused video display. be connected to by simply selecting them. changed or deleted (→ p.48). * See p.47 for details on using the Camera Site List. server that does not support audio. which have an audio function). Volume slide bar: Adjusts the volume. Mute: If this setting is ticked, the volume is turned off. Even if the audio is played back, it will stop if the Viewer is minimized. You can save and print snapshots of live video you want to retain. When the video you want to save appears, click the [Pause/Resume] button. The video is displayed as a still picture. Select “Save” from the “File” menu. When it ends, the video is resumed when you click the [Pause/Resume] button. Files are saved in BMP format. Saved still pictures can be viewed using a Web browser or image display software. When the video you want to print appears, click the [Pause/Resume] button. Select “Print” from the “File” menu. Specifies the print position for the image. and tilt angles with the image. “Network” from the “View” menu. * Not displayed if Audio is not connected. You can control the video data band traffic. the Viewer for PC. Normally, there is no need to alter these settings. protocol or the WebView-HTTP protocol. Select “Setup Properties” from the “View” menu. Select protocols from the “Options at starting with WVH file” in the “Starting protocol” tab. Remove the tick if you do not want to receive audio data. Specify these settings when you are connecting using the WebView-HTTP protocol. of the Settings file in the “Address” field. server host in the “Host” field, and enter the port number in the “Port” field. Tick if you want to connect to local addresses without using the proxy. using proxy.” setting. This allows you to specify multiple host names at once. Hosts with an IP address that begins with “192.168.100.” do not use the proxy. screen shown at startup is displayed at an image size of 320 × 240. Select “Setup Properties” from the “View” menu and then select “Display option”. Select “Set video display size used at startup”. to the image size initially sent. Allows you to select any of 4 sizes: Large, Middle, Small and Minimum. Up to 100 camera sites can be registered. to add a camera server to the list. Any name can be given to the camera server being registered. Specify the IP address of the camera server. the camera server. They can normally be used with the default settings. that you want to change or delete. click Edit. To delete a site, click Delete. Messages displayed in the viewers are explained in this section. The limit on the number of video server connections has been exceeded. Access to the camera server is apparently overcrowded. Wait some time and then reconnect. The camera server is a different version. Clear the Web browser cache. The viewer cannot connect to the camera server. try again to acquire control privileges. The viewer cannot connect to the camera control server. This is normal operation because camera control is prohibited by the camera server. The connected camera is switched off or the RS cable is not connected. RS cable connection). Check with the administrator of the camera server. processing on the camera server. To reconnect, reload (refresh) the Web page in your Web browser. No response from video server. The viewer could not connect to the video server. problem on the camera server. Check with the administrator of the camera server. Network is busy. Please try again later. No response from camera control server. You can use video only. The viewer could not connect to the camera control server. Couldn’t get camera control privileges. You do not have video server access privileges. addresses of clients allowed to connect. This is normal operation. This situation is set up by the camera server administrator. Camera switched off or faulty. There was an error in the information in the WVH file. is a problem on the camera server. Check with the administrator of the web page. Restart your Viewer for PC. Check with the camera server administrator.